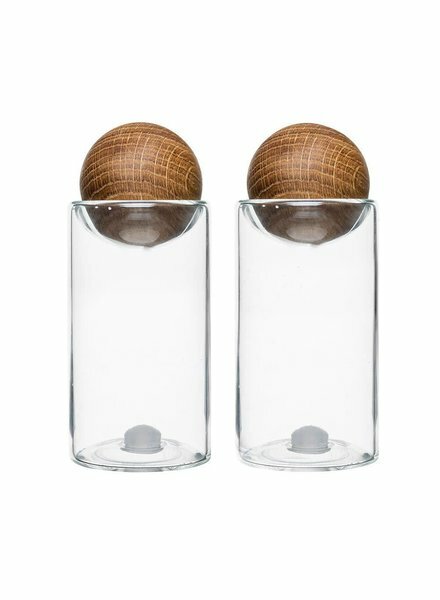 This salt & pepper set is perfect for prep work or for serving. Add these to the table for an eye catching detail. A versatile set you can use for oil, vinegar, milk for your coffee or a single serving of wine.